للمسافرين الذين يرغبون أن يعيشو كل ما تقدمه سيدني, Highfield Private Hotel هو الخيار الأمثل. يمكن من هنا للضيوف الاستمتاع بسهولة الوصول إلى كل ما تقدمه هذه المدينة النابضة بالحياة. بالنسبة لمن يريد الخروج، هذه بعض المعالم السياحية المتوفرة للزوار Kings Cross Inner City, ‪Kings Cross‬, Old Fitzroy Hotel. إن الخدمات التي يقدمها Highfield Private Hotel تضمن للنزلاء إقامة مريحة. يقدم الفندق واي فاي مجاني في جميع الغرف, أمن على مدار 24 ساعة, تخزين الأمتعة, واي فاي في المناطق العامة, التوصيل من وإلى المطار لضمان الراحة القصوى لضيوفه. بالإضافة لهذا,تتضمن كل غرف الضيوف مجموعة واسعة من وسائل الراحة . بعض الغرف توفر حتى تلفزيون بشاشة مسطحة, اتصال لاسلكي بالإنترنت, غرف لغير المدخنين, تدفئة, مكتب لإرضاء أكثر الضيوف تطلباً. يقدم الفندق خدمات رائعة كمثل مسار جولف - ضمن 3 كم, حديقة لمساعدتك على الاسترخاء بعد نهار طويل من النشاط والتجوال في المدينة. مهما كانت أسبابك لزيارة سيدني، فإن Highfield Private Hotel هو الخيار الأفضل لإقامة مثيرة وممتعة. يُطلب من الضيوف الذين سيصلون بعد 8:00 PM الإتصال بالعقار مباشرة قبل موعد وصولهم. This was my Eleventh stay at Highfield Hotel in two years. The staff are always so helpful, but special mention must go to recent addition Peter. Peter goes out of his way to make all guests feel welcome and he is never too busy for a chat. 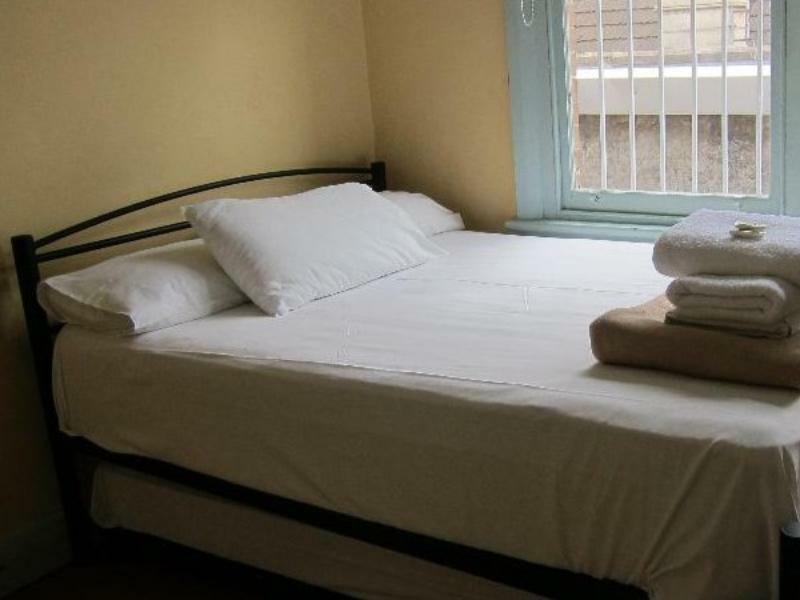 This is what makes Highfield Hotel a real home away from home. Likewise Owner Adrian and son Eden go the extra mile to ensure that all of their guests have a pleasant stay. The free included breakfast is plentiful and of good quality. The availability of a kitchen with hot plates, oven and microwave is a welcome feature if you need to self cater. The communal bathrooms have all been renewed and are generally clean. 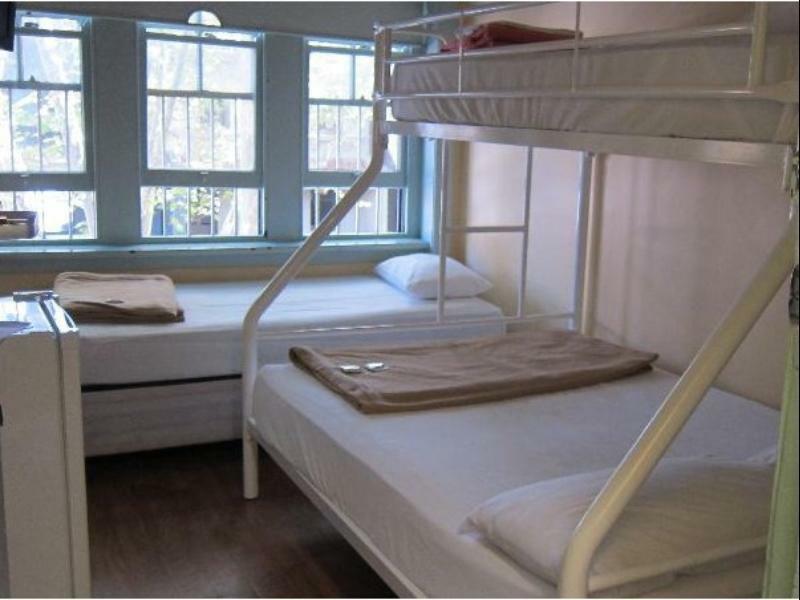 The beds are comfortable and the rooms more spacious than other budget offerings in the area. The location is second to none being a short walk to the Train Station, Woolworths, Coles, restaurants and the Kings Cross nightlife. I personally prefer the Highfield Hotel to more expensive properties I have stayed in the area. Hotel needs a toothbrush and toothpaste. Also, hoping wifi would be unlimited. Staff is extremely helful. The wall is very thin. U can hear everythig from next door. My night the couple next to my door was fighting. I couldnt sleep well.... so noisy indian! 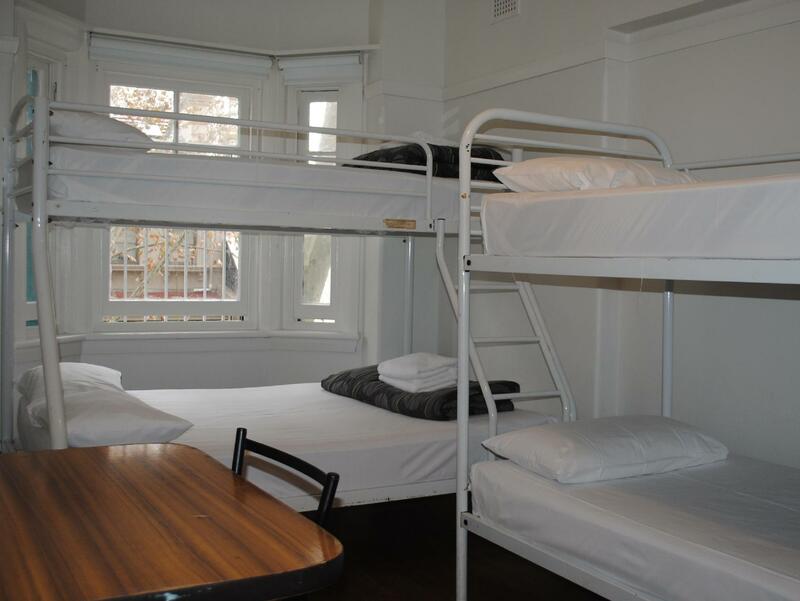 This is a backpackers, with a few rooms that have an ensuite. 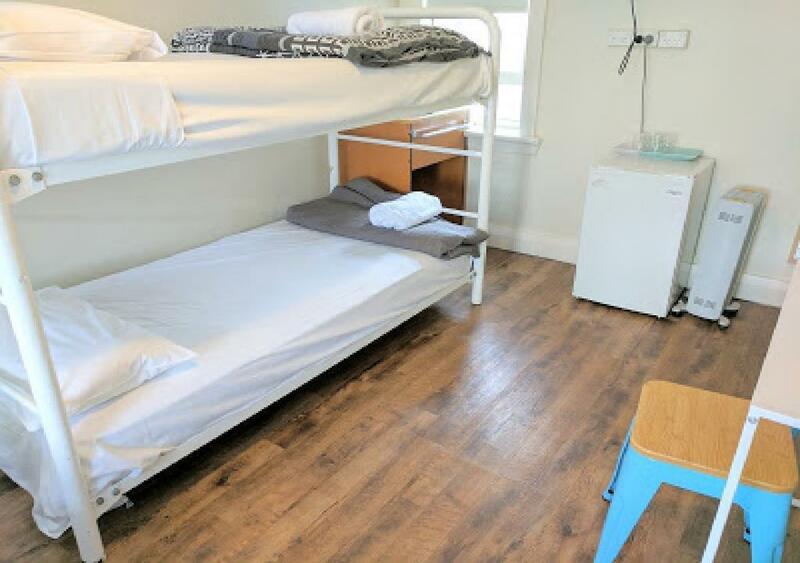 Everything was fine, but just know that this is a backpackers and is aimed at people with a tight budget. Having said this, Its cheaper to book other places a bit cheaper than here. But I did have a good stay. This is my second stay here. Staff are very nice and friendly. They do provide simple breakfast with coffee, tea, toast and egg. Stayed in shared bathroom double room this time, due to the ensuite room was sold out. There is tv, fridge and small basin in the room. The room is very small as expected, unfortunately, it look old too. Slightly disappointing with it. However, the shared bathroom is very clean. Next time, I would still prefer the ensuite room which is more comfortable. Thanks again to Peter and Adrian which make our stay here welcoming, hope to see you all again. The hotel has a super convenient location. 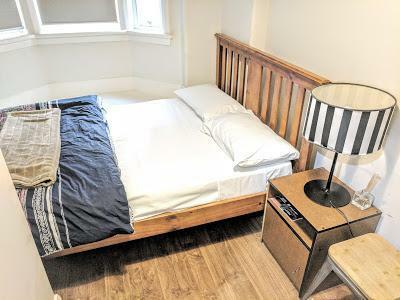 The room is small but clean and well-equipped. The manager upgraded us to a better room with extra AUD20 that was very good. And the price is very very reasonable. Place is clean and good value if you’re on a budget. Comfortable bed. Staff are helpful and friendly. Last night of my stay was wrecked by a group of Chinese-speaking guests who were loud and disruptive and had no regard for the comfort of other guests. Highly recommended! Polite and helpful staff with some tips on how to save and enjoy the holiday on Aussie. Great breakfast. Clean bathroom and Free wifi. You dont have to buy Sim Card since you can search at the comfort of your own room. During our stay, we found many small insects in our room which is including cockroaches. Kitchen has a small fridge (it's a bar fridge for the whole hotel) and did not have space to put our frozen food. The room is too small for two of us, only one person can go through the exit and the room is not clean at all! A convenient place to stay with a kitchen and a new bathroom. Travellers should know that the free WIFI is very limited and you would need to purchase WIFI extra to do much more than check your email. The room was pretty small and if you have a few different electronic devices to charge, the power points were scarce. There's a TV but I didn't find much interesting on the channels available. The WiFi is okay but you only get 500 MB a day, which seems standard most places in Sydney. You have to share a bathroom and there's only one bathroom for males and one for females. The breakfast is decent. You can have coffee, tea, cereal, toast, cheese, and boiled eggs. The kitchen is smallish but it can seat maybe 10 patrons. You can sit there with your laptop during the day but I found it a bit too tight an environment. The general manager is nice enough. He'll help you with your bags. If you're looking for a bed and not somewhere to hang out, it's a good option. The price I got was excellent for such a convenient location. The staff/owner was not really friendly, but I was not bothered too much about that. The room is really tiny but very clean. 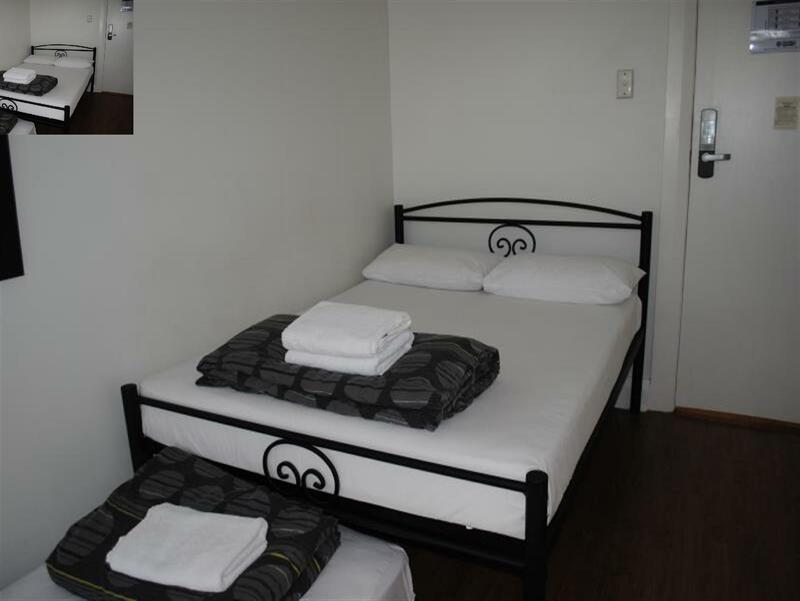 booked an ensuite room, It was clean, warm and walking distance to train station. Good security and great staff. Accesible to many places. 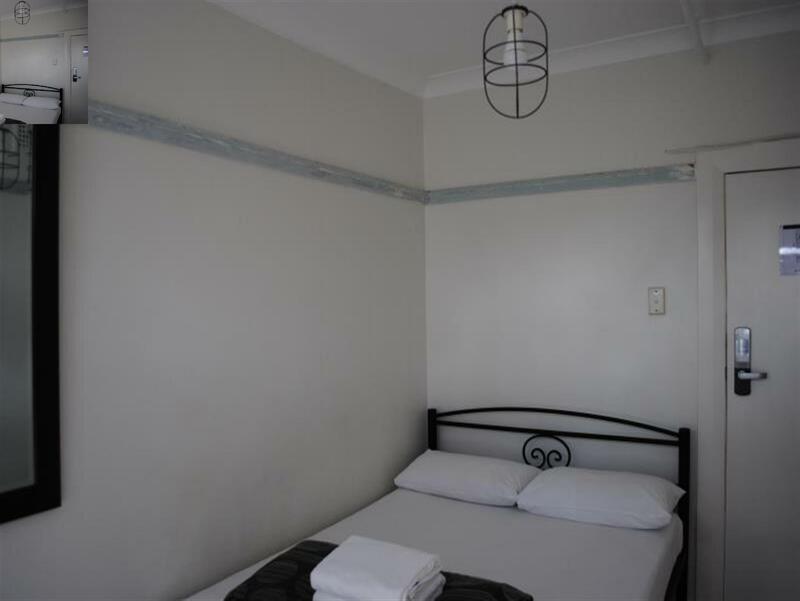 Closer to the train station, walking distance to botanic garden to sydney opera, circular quay. They have kitchen where in you can cook uiur own food. Great location close to everything , Very nice staff . If your a light sleeper I wouldn't recommend this Hotel you can hear everything in other rooms/hallways and traffic outside.